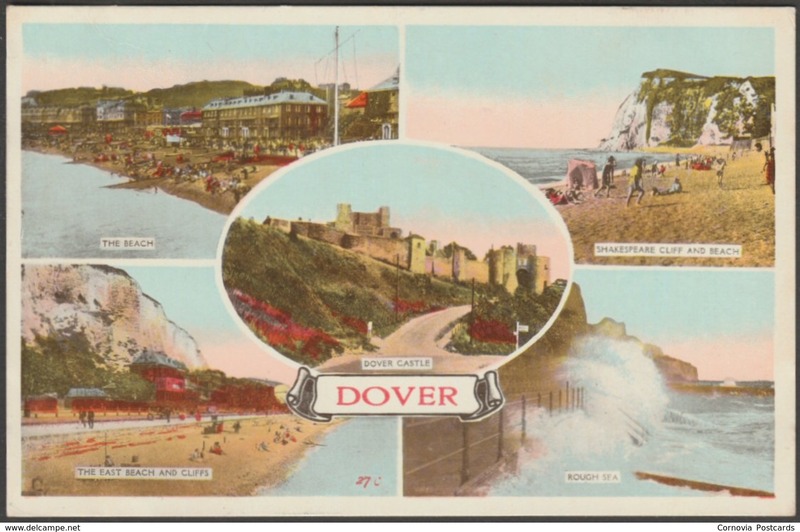 Printed colour multiview postcard showing five views of Dover in Kent. Views shown are The Beach, Shakespeare Cliff & Beach, Rough Sea, The East Beach & Cliffs and Dover Castle. 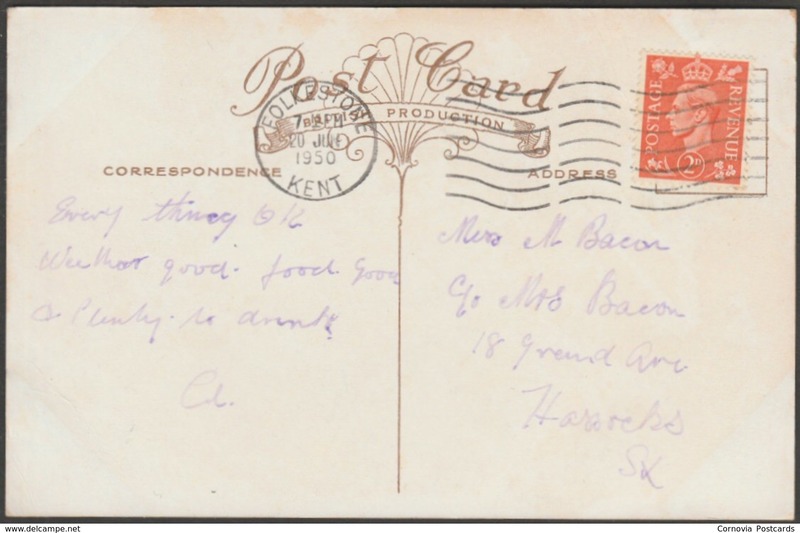 Publisher not stated, No 27 C.
Postally used on 20 June 1950 with Folkestone cancellation on orange 2d stamp and sent to Miss M Bacon, c/o Mrs Bacon, 18 Grand Avenue, Hassocks, Sussex. Fairly good condition, with very slight corner bumps and light album marks, but light crease to left centre of top edge.